Bruno Claessens (b. 1983) graduated in 2005 as historian. In 2003, through his wife Griet Blomme, herself an ethnography graduate, he first came into contact with African art at the Sablon in Brussels. From 2007 to 2010, he got better acquainted with all aspects of the African art world while being the assistant of Guy van Rijn in Brussels. In Summer 2010, he organized the exhibition “Vlijmscherp” (Razor Sharp) with African weapons from the Ethnographic Collection of the University of Ghent. Between 2010 and 2012, he was archivist of the Yale University-van Rijn Archive of African Art. From 2013 to 2016, he worked as an independent expert in African art, advisor and curator. 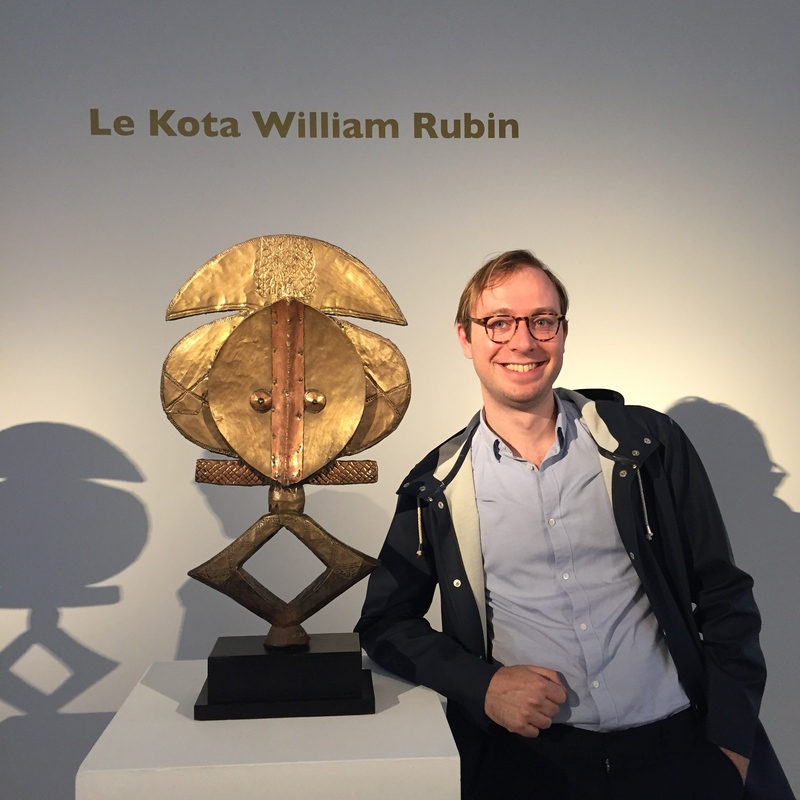 In February 2016, he was appointed as European Head of African and Oceanic Art at Christie’s. BrunoClaessens.com was started in 2013 and wishes to provide a useful source for African art history related new stories, such as exhibition announcements, new research, auction news, etc. BrunoClaessens.com welcomes contributions and feedback. There is no comment section like most blogs, but feedback from readers will be incorporated into the actual news item. So, if you wish to share an opinion about a diary post or if you have a news story, then please get in touch. Bruno Claessens (on the right).